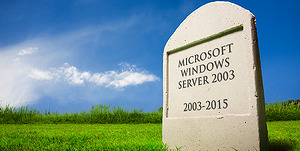 Still Have Windows Server 2003? Game Over. The digital world has always benefited from innovation. The agile methodology to IT management is just one of the latest examples in this trend. For many pundits, this approach promises to revolutionize the way IT projects are executed. 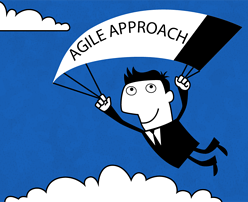 The agile methodology began in the software development field in the late 1990s and early 2000s. At the time, developers typically created a finished software product in one go, and then fixed bugs as they were discovered. Agile development, on the other hand, emphasized rapid incremental product creation. This involved dividing projects into components, or "sprints,” each of which could be finished quickly. Individual sprints were considered finished products in their own right. As a result, software could be ready for release much quicker. These products often had fewer bugs and new features added regularly after launch. In IT management, the agile methodology functions very similarly. Large technology projects are broken down to their base components. Each component is a finished product on its own, but also fits into the greater whole. While this may seem more like a technical distinction than a major change, it actually has significant implications for managing IT projects. I’m assuming that most of you have heard of server virtualization by now? Well, in this brief article I’m going to talk strictly desktop virtualization, which has become an increasingly popular trend for businesses or individuals that need to run multiple applications or ‘environments’ at once. In a nutshell, desktop virtualization is creating virtual computers or ‘machines’ or ‘VMs’ that run on existing physical computing resources. For example, we can create virtual computers that run and use the same hardware from your ‘host’ computer, i.e. RAM, hard disk, processors, and other devices. Desktop virtualization can refer to either running complete operating systems on top of a host system such as a PC or Mac, or a server that emulates entire ‘on-the-fly’ user desktop environments via hardware terminals called ‘thin-clients’. Let’s quickly explore both types. In a recent blog, I emphasized the importance of conducting IT assessments. Based on the feedback I received, I want to delve a little deeper into assessment scoring. Typically designed to analyze the state of a business’ current technology and identify areas that need improvement, the goal is to provide a company with a path that will ensure it can leverage its IT to help the business succeed. IT assessments are designed to analyze the state of a business’ current technology and identify areas that need improvement. The overall goal of the assessment is to provide a company with a path that will ensure it can leverage its IT to help its business succeed. As a company grows, so does demand on information systems and resources. If there are system performance problems, customers may question the business’ capability to provide goods and services. The IT assessment is the predecessor to an effective IT strategy, where management, users, and IT provide input into the future of the company’s technology environment and investment. Here is Part II of my blog addressing the most common mistakes when managing IT projects and how to avoid them. Click here for Part I. As IT providers, we are always looking for ways to better manage projects. Since so many of us are often juggling multiple technical projects at one time, I thought it would be helpful to provide a few examples of common mistakes to avoid when managing these projects, as well as solutions. Speaking from experience, avoiding these challenges will make you better at managing successful IT projects.